Broth­ers Bri­an and Jim Mc­Caf­ferty, for 20 years, drove to South Phil­adelphia for sand­wiches at Tony Luke’s. “Without ques­tion, they have the best food,” said Bri­an, who favored the cheesesteak and chick­en cut­let. Even­tu­ally, the Mc­Caf­ferty broth­ers, both gradu­ates of Fath­er Judge High School, de­cided to bring the product closer to home. “Why shouldn’t the people of North­east Phil­adelphia have the best food?” Bri­an asked him­self. Last Oc­to­ber, the Mc­Caf­fer­tys opened the first Tony Luke’s fran­chise in the North­east. It’s loc­ated in May­fair at 6716-18 Frank­ford Ave., across the street from Shop­Rite. Last week, Tony Luke Jr. – CEO of Tony Luke’s World­wide – ap­peared at the sand­wich shop to see how things were go­ing. Tony Luke’s opened in 1992 on Ore­gon Av­en­ue, just east of Front Street, in an area of South Phil­adelphia that was ba­sic­ally a place where truck­ers would park their rigs. Today, people come for sand­wiches, and the shop is wildly pop­u­lar. The Tony Luke’s on Frank­ford Av­en­ue is not ac­tu­ally the first one in the North­east. Back in the late 1990s, a shop opened at 2998 Welsh Road in Holme Circle, but it was com­pany owned, not a fran­chise. That loc­a­tion is now a Dunkin’ Donuts. Today, there are 22 Tony Luke’s loc­a­tions. Oth­er loc­a­tions in­clude Cit­izens Bank Park, Lin­coln Fin­an­cial Field, Temple Uni­versity and Phil­adelphia In­ter­na­tion­al Air­port. Tony Luke’s has got­ten shout-outs from some celebrit­ies. 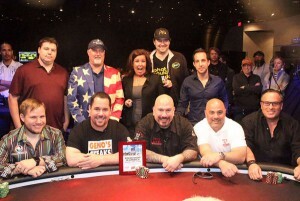 Ra­chael Ray said on her TV show that the Roast Pork Itali­an is her fa­vor­ite item at Tony Luke’s. Mu­si­cian Questlove said Tony Luke’s makes the best cheesesteak in Phil­adelphia. Tony Luke gives a lot of cred­it to his chief op­er­at­ing of­ficer, John Moser, a Fath­er Judge gradu­ate who works count­less hours a week. As for in­di­vidu­al fran­chise shops, he said one key to suc­cess is to have an own­er/op­er­at­or. Tony Luke, 54, said any­one can open a food store, but cus­tom­er ser­vice and at­ten­tion to de­tail are para­mount. He doesn’t want cus­tom­ers to think they are just a dol­lar bill. That’s why cus­tom­ers at his shops are al­ways asked their names when or­der­ing. The busi­ness­man re­calls, when he was a kid, busi­nesses bend­ing over back­wards to sat­is­fy cus­tom­ers and get or­ders right. The same holds true today, he said, adding that so­cial me­dia is a big part of mod­ern busi­ness. 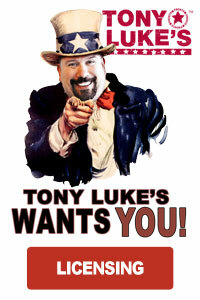 The loc­al shop pro­motes it­self on the Tony Luke’s May­fair page on Face­book. The loc­al Tony Luke’s has some loy­al re­peat cus­tom­ers, but the Mc­Caf­fer­tys be­lieve that most folks in the North­east don’t know the shop is open. They be­lieve that once a cus­tom­er walks in­to the shop, he or she will be back, based largely on the product. Tony Luke, of course, is proud of his product. “I’m Itali­an. Everything re­volves around the kit­chen. To Itali­ans, food is love,” he said. Tony Luke said that any­one who wants their sand­wich made in two minutes should go some­where else. His shops don’t serve fast food. They are, he said, for people will­ing to wait for a good sand­wich.